For the second year running, Northumberland College is the main sponsor of The Northumberland County Show, which is held on Bank Holiday Monday 26th May 2014 at Bywell Hall, near Stocksfield. But there’s a special role for Marcus Clinton, the Northumberland College’s Vice Principal of Enterprise and Innovation, as Light Horse Champion Judge. Marcus Clinton is going to judge the prestigious Light Horse Championship - following in Lady Allendale's shoes, who judged this competition last year. Marcus joined Northumberland College four years ago to manage and develop the curriculum and commercial activity at the Kirkley Hall campus. He has over 20 years of experience working in the land based education sector, as well as strong commercial experience. 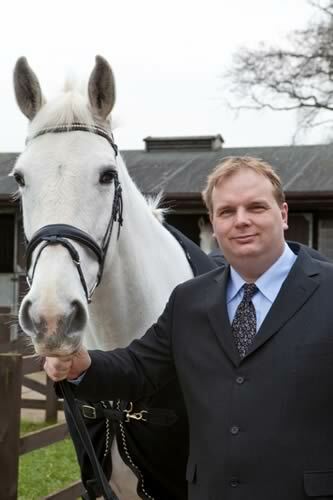 In his time at Northumberland College Marcus has overseen the development of the equestrian centre with an indoor riding arena, increased equine competitions and the hosting of the prestigious British Eventing Competitions at the Kirkley Hall campus. The college will have a stand at the show bringing a range of snakes, reptiles and exotic mammals from their zoo to the show at Bywell on 26th May. Their experienced staff will be on-hand to talk about all of the 130 species of animals kept at the zoo, which promises to be a popular and educational attraction for visitors. The College has also put its name to the new Aberdeen Angus Class in the Cattle Section, having recently introduced this traditional native breed to the campus farm. The overwhelming success of British Show Jumping at the 2013 show has led to more classes being introduced this year, and the Lloyd Group sponsored classes have been moved to a more prominent position on the showfield. The County Show’s Light Horse Section, which has kindly been sponsored by The Wood Heating Company in 2014, benefitted from huge support from competitors last year, and once again features popular sections such as Working Hunter Pony, Show Ponies, Hacks, Cobs and Riding Horses. The ever popular BSPS classes begin with the leading-rein classes, which are a great way for children as young as three years old to start showing. WHP Champions will each receive a bottle of Equilyptus365, plus two lucky winners from classes in The British Show Jumping and WHP will also win a saddle cloth generously donated by sponsors, Equilyptus. The show isn’t just about the BSPS. In addition to the well-respected Mountain and Moorland Section, there are non-affiliated hunter classes, and fans of Heavy and Agricultural horses won’t be disappointed by the magnificent turn-outs in the Main Arena. The Northumberland County Show has lots of other exciting things for all the family to see and do. These include alpacas, dogs, poultry, cavies and rabbits, stick dressing, baking and home crafts, and Cumberland and Westmorland wrestling. Visitors can see chainsaw carving and competitive sheep shearing, bee-keeping, laser clay, pigeon shooting. The main arena attractions feature the Kangaroo Kid with his thrilling quad bike display and children will love Fingle Dingle’s comedy clown car stunt show. Schedules for the County Show are out in March, and competitors are encouraged to get their applications in early.